Anyway all joking aside - these are the best double reels ever made and you will not be able to find them anywhere else. 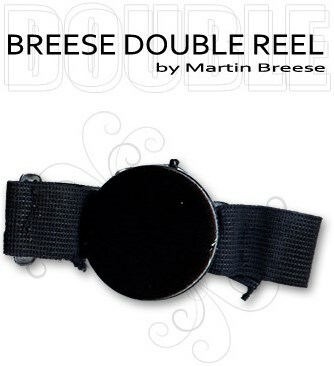 You know what you can do with a double reel? Hmm. Well you can take a pack of cards and spread it out left to right between your outstretched hands and move your hands further and further apart and the cards just seem to rest in space. You can take a ball in one hand and it glides through space from left to right or right to left as if floating in the air. Don't tell me you are going to need a set of instructions as well!